5000 BC - 2500 BC: Indus Valley Civilization. Although no excavations have been made and no archaeological evidence exists as on date, we strongly believe that the Indus people were familiar with this region and might have established some settlements there. Reader's attention is drawn to the fact that the North Dravidian languages namely Kurukh, Malto, and Brahui, are spoken by more than 2 million speakers in Pakistan, Afghanistan, and the border areas of India to this day. 2500 BC- 1000 BC Expansion of the Vedic civilization. The original inhabitants of this region were pushed towards eastern India where new schools of thoughts and a new imperial culture would emerge in course of time. 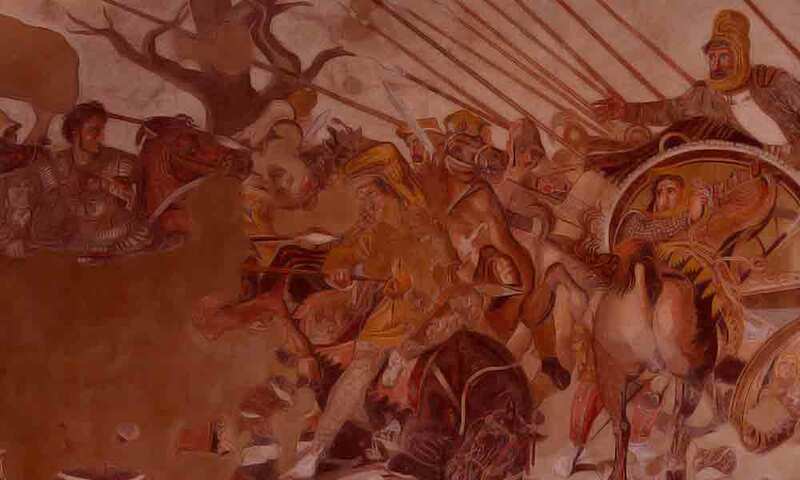 328 BC: The invasion of Alexander the Great. 303 BC: The defeat of Seleucus 1 by Chandragupta Maurya. 250 -128 B.C. : Greaco-Bactrian kingdom at Balkh. AD 127-41: Ptolemy's mention of Kabul as Kabura. 50 - 250 A.D : Emergence of the Kushana power under Kanishka. 225 - 600 A.D : Sassanids occupy and establish their rule. 652-664 AD: Invasion of the Arabs and the first contact with Islam. 8th - 10th century : The reign of Hindushahis who ruled Kabul and eastern part of Afghan territory. 998-1030 AD : The reign of Mahmud Ghazni. Probably the best period for Afghanistan. 1219-1222 AD: The invasion of Mongols under Genghis Khan and destruction of cities and agriculture. 1747AD :Ahmad Shah Sadozai Durani comes to power supported by Pashthun tribal council. 1775 AD :Timor Shah shifted the capital from Kabul to Kandahar. 1973 to 1978 AD: Zahir Shah's political reforms fail and his cousin Mohammad Daud Khan seizes power in a nearly bloodless coup. Zahir Shah went into exile in Europe. April 1978: Marxist coup. Mohammad Daud was killed in the coup. The People's Democratic party of Afghanistan (PDPA) headed by Nur Mohammad Taraki comes to power. 1979: End of Taraki. He was removed from power. Hafizullah Amin his lieutenant takes over and kills Taraki. December 1979: Soviet Russia marches into Afghanistan. Amin was executed and replaced by Barbak Kamal. Early 1980's: Mujahideen's capture vast territories supported by foreign powers. 1986: Soviet decision to withdraw from Afghanisthan in phases. Barbak Kamal replaced by Najibullah Government. Feb. 15, 1989: The Russians finally withdraw. However Najibullah continues while the battle with Mujahideen goes on. April 1992: Occupation of Kabul by Mujahideen and declaration of Islamic state. Soon a power struggle ensued in the new government between the two factions: one led by Burhanuddin Rabban and the other led by Gulbuddin Hekmatyar. Rabbani became the president in December 1992 by a constituent assembly while Hekmatyar became prime minister under a March 1993 peace accord. The two groups continued fight resulting in heavy casualities. 1995 The rise of the Taliban in the southern, Pathan region. Sept. 24, 1996 : The Taliban captured Kabul. Present Position: The Taliban were able to capture most of the country, aside from Northern Alliance strongholds primarily in the northeast, until US and allied military action in support of the opposition following the 11 September 2001 terrorist attacks forced the group's downfall. In late 2001, major leaders from the Afghan opposition groups and diaspora met in Bonn, Germany and agreed on a plan for the formulation of a new government structure that resulted in the inauguration of Hamid KARZAI as Chairman of the Afghan Interim Authority (AIA) on 22 December 2001. The AIA held a nationwide Loya Jirga (Grand Assembly) in June 2002, and KARZAI was elected President by secret ballot of the Transitional Islamic State of Afghanistan (TISA). The Transitional Authority has an 18-month mandate to hold a nationwide Loya Jirga to adopt a constitution and a 24-month mandate to hold nationwide elections. In December 2002, the TISA marked the one-year anniversary of the fall of the Taliban. In addition to occasionally violent political jockeying and ongoing military action to root out remaining terrorists and Taliban elements, the country suffers from enormous poverty, a crumbling infrastructure, and widespread land mines.